Few things underwrite the Northwest lifestyle as much as plentiful, affordable power. It's unseen but there, greasing the economy and igniting opportunity. 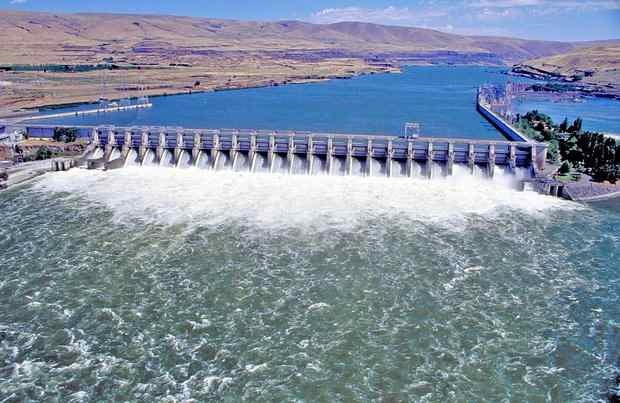 The biggest broker of power is the Bonneville Power Administration, which sells electricity generated by hydroelectric dams in the vast Columbia Basin, a region the size of France. Still, nothing's free, ever, and frugality is as much a part of the Northwest power equation as the certainty of flowing rivers. Ask the utility that reads your meter and bills you monthly. A soon-to-be adopted draft of the once-every-five-years Northwest Power Plan builds upon this fact. Configured by specialists who report to a panel of two representatives each from four Northwest states -- Oregon, Washington, Idaho and Montana -- the plan declares against expectation that the electricity needs of a surging population should be met not with more power plants or costly commitments to certain renewables. Instead, the staff of the Portland-based Northwest Power and Conservation Council calculates that all anticipated demand for electricity over the next 20 years, despite the scheduled closure of sullying but productive coal plants, can be met through greater efficiency in everyday energy use and an embrace of something called "demand response" commitments. Everybody understands efficiency: More is better, seal those window air leaks. But "demand response," not widely known in the popular lexicon, may pack greater rewards: Commercial and industrial users of electricity should be enticed by their supplying utilities to schedule their full-production processes to occur in off-peak times. An example might be a pulp and paper mill that runs around the clock but could, by ramping up production in the middle of the night, ramp it down in the early morning and late afternoon hours, when the rest of society wants electricity the most. It sounds like a no-brainer but could involve significant workforce rescheduling at any number of industries -- more difficult to do than to talk about. The aims of conservation and demand-response behavior should meet with little resistance, as they are elegant in considering non-use as untapped supply. Even utilities, which make more money by selling larger volumes of electricity, can benefit from a level demand for their product. Result: The power council would prefer to diminish the role of what it calls "variable-output" renewables and instead encourages research and development of ocean wave or geothermal sources, which it characterizes as having "a more consistent output." While this may seem like inside-baseball from the energy world, it is significant in light of the hefty investment and imprint, not to mention history of tax-break incentives, of wind and solar projects across Oregon. Put another way, the council is going against some widely shared green aspirations. Angus Duncan, founder and president of the Bonneville Environmental Foundation and for six years an appointed member of the power council, argues the council's computer-driven view is limited to 20 years when the real work of lowering CO2 output extends well beyond -- as it does for the profitable development of green technologies that will ensure lower CO2 levels. But Tom Eckman, director of the council's power division, wrote in an email made available to the editorial board of The Oregonian/OregonLive: "We (are) evaluating policies that would reduce carbon emissions at the lowest cost, not on how to increase the use of renewable resources.... The best policy option involves the use of multiple tactics, which include retiring coal plants and substituting lower carbon-emitting gas, then building renewables only to the extent needed." Gas-burning as a bridge to a more renewable future? Gas burns cleaner than coal but still emits hefty CO2 levels. Yet it's the right call. The council's plan is built on rational calculations that address inexpensively meeting power demand in the next two decades while also encouraging the development of steady-output renewables. It makes sense that green energy technologies must prove themselves in the present before being counted upon as part of the Northwest's low-cost energy future. It makes sense, too, that the Northwest would lead the country in conservation measures while developing sure-bet renewables that will help to deliver ever-lower C02 levels at prices everyone can afford.